A new era for the Black Panther starts here! The indomitable will of Wakanda, the famed African nation known for its vast wealth, advanced technology and warrior traditions - has long been reflected in the will of its monarchs, the Black Panthers. But now the current Black Panther, T'Challa, finds that will tested by a superhuman terrorist group called The People that has sparked a violent uprising among the citizens of Wakanda. T'Challa knows the country must change to survive. The question is, will the Black Panther survive the change? 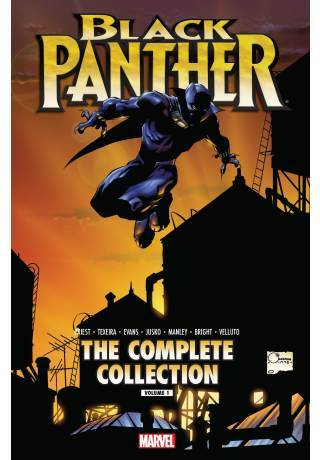 Collecting Black Panther Vol. 6 #1-5.